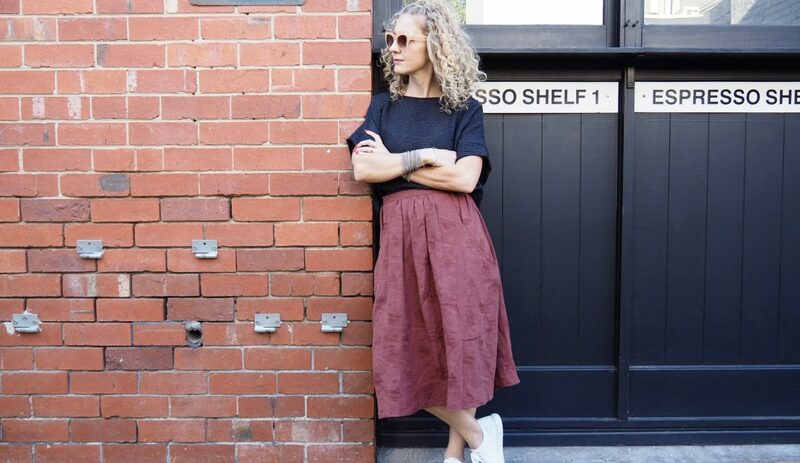 I often think about making little changes to our existing patterns, constantly inspired by styles and detail finishes I see in RTW garments. 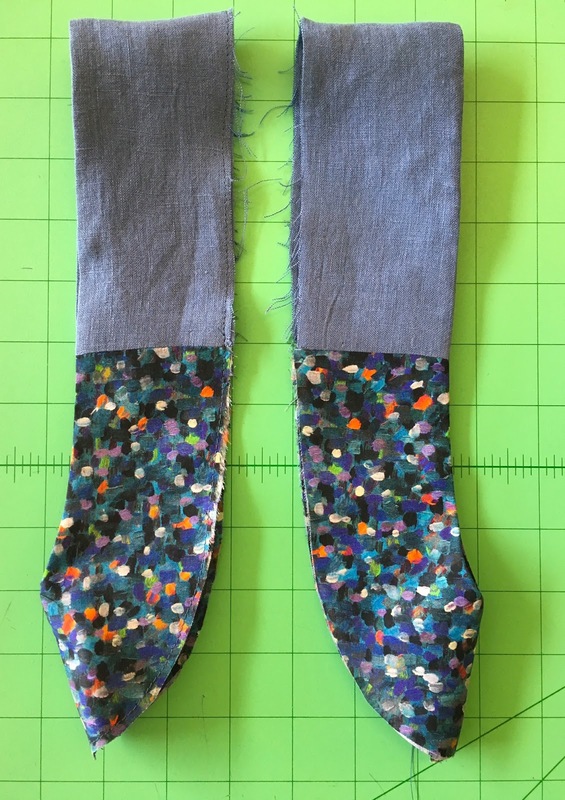 It’s a fun, easy way to alter a TNT pattern for a little variety. 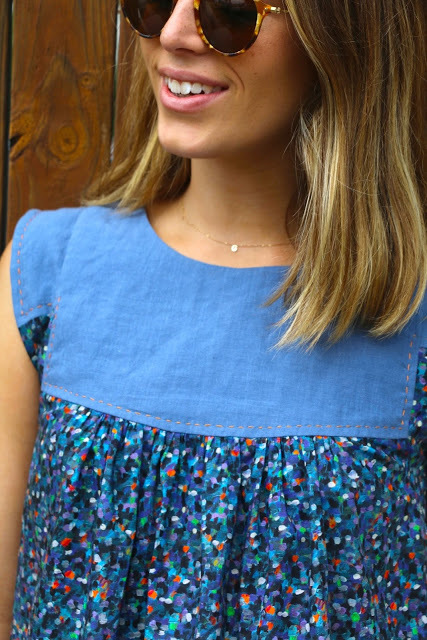 Since releasing our Alice Top pattern two years ago, I’ve thought about modifying the armhole band to both compliment the yoke and give another effect to the shoulder line. The latest arrival of Liberty prints, in particular this Pointillism Blue, prompted me to finally give it a try. I combined the print with a co-ordinating plain 100% linen Hartford Denim, adding contrast orange topstitching detail to compliment the pops of colour in the Liberty print. 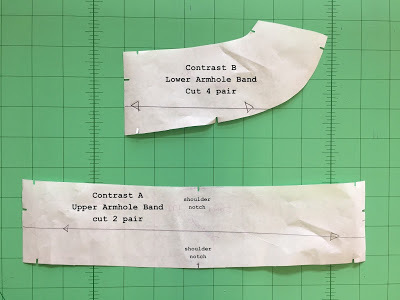 A seamline was added to the original armhole band to create an upper armhole band and lower armhole band, eliminating the shoulder seam by overlapping the original pattern piece at the armhole seam. This way the new upper armhole band covers both front and the back. The upper armhole band is cut x 2 pairs and the lower armhole band is cut x 4 pairs. 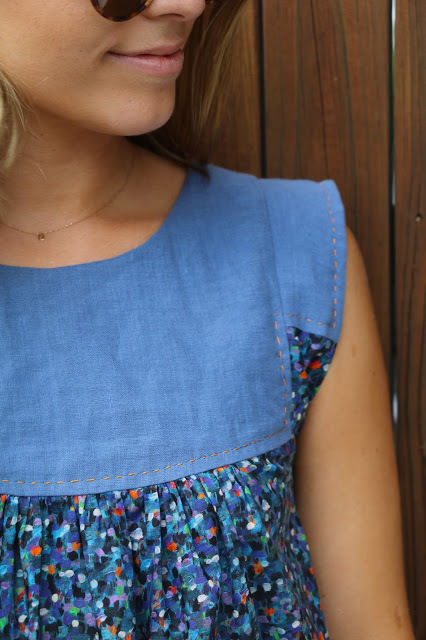 Lastly, contrast topstitching (similar to a detail on the Kate Top pattern) was sewn in two stages – around the outer edges of the upper armhole bands and around the lower bodice 1/4″ in from the edge. 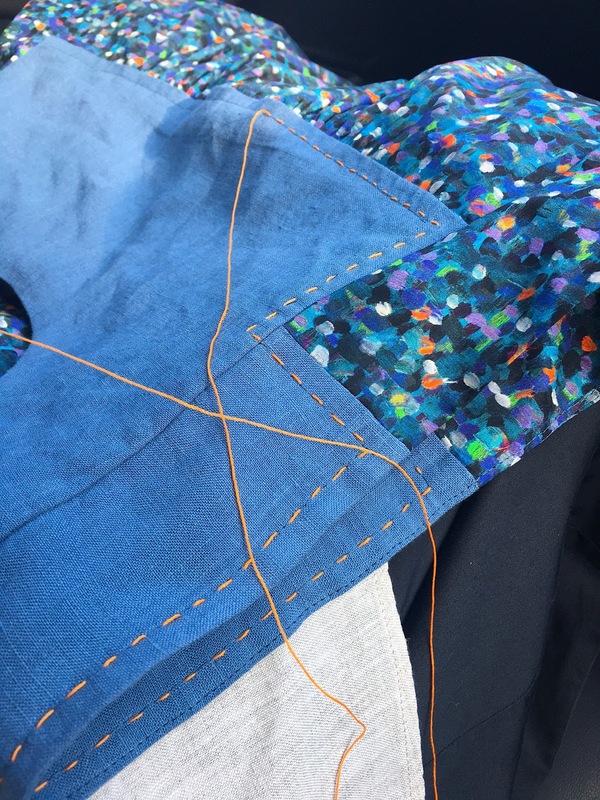 First a row of topstitching is sewn on the machine in matching blue thread (set on a longer stitch length e.g.4), then hand sewing with one strand of contrast topstitching thread over every second stitch. The machine stitching helps to give an even guide for the hand sewing stage. 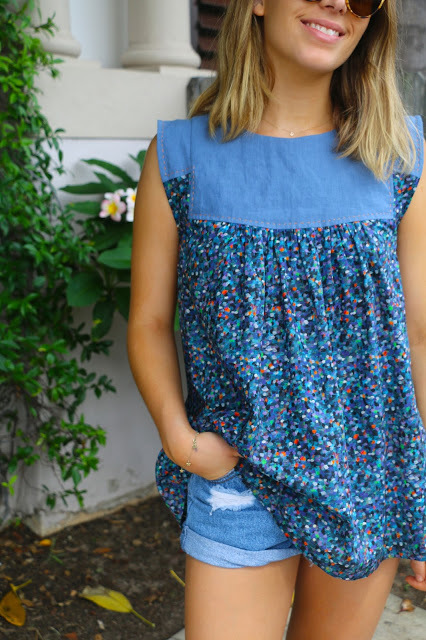 In addition to being a great scrap buster, this is such a simple alteration and the possibilities are endless for combining embroidered, printed and textured fabrics with plains.